The Pineapple Couch: Sticks & Stones May Break My Bones, but 12 Steps and a Concrete Floor Will DEFINITELY Do the Trick! Sticks & Stones May Break My Bones, but 12 Steps and a Concrete Floor Will DEFINITELY Do the Trick! One morning at work nine years ago, I left my second floor office to head downstairs. About two or three steps down, I slipped and fell the rest of the flight, breaking my ankle, toe and shoulder and tearing my rotator cuff. What had started as a typical day at work became a life-changing event. I don’t mean to say it has changed my life in a physical way; my doctors expected a full recovery and other than some minor limitations, I'm back to normal. But spiritually, I learned so many lessons that I most certainly did not come out the other end of this experience the same person I went in as. Only photo I could find from that year . I remember that the first thing I felt as I slipped was regret. To this day, I don’t know what I was regretting, maybe the poor choice of foot placement? I mention this because it was such an odd emotion to have as you are tumbling down a flight of stairs. I would have assumed fear would be natural, but regret? Of course, once I got to the bottom, the pain took over as my entire right side felt like it was on fire. Once I was secured into the ambulance and on my way to the hospital, I started praying and focusing on my prayers in order to endure the pain. I actually got a little annoyed with the paramedic who kept asking me questions while I was repeating the Lord’s Prayer so that I had to keep starting over. I was praying out loud, didn’t he realize he was interrupting? Once I was at the hospital and diagnosed, x-rayed, drugged, and everything else they did to me, I was taken to surgery to put my ankle back together with screws. This scared me most of all. Broken bones were supposed to be put into casts, not operated on; this was not on my To Do List for the day! But little did I know that I was on my way to learning what I thought I already knew. I guess I did already know these lessons, I just hadn’t had to put them into practice yet and God knew that I needed some hands-on training. It’s one thing to be able to list the responsibilities, expectations, and aspects of being a Christian; it’s something else entirely to live them on a daily basis. My first realization of what God was teaching me came a few nights later. I had been moved to a rehabilitation hospital, where I would spend the next few weeks. As I was writing a letter to my brother, I suddenly saw what God wanted me to understand. I had just been baptized two months earlier, I was only a baby Christian. I had been studying the Bible on my own, searching for something for quite a while, and then started studying with a local preacher. During this time, I had learned that part of being a member of Christ’s church is service. But as of yet, I hadn’t really helped anyone. Sure, I had done some baking for events, things like that, but what had I actually done? What was there that needed to be done? If someone had asked me that question, I'm not sure I could have come up with an answer. So God showed me an answer: Do whatever needs doing. Within hours of my accident, my new brothers and sisters in Christ came to my aid in every way imaginable, and many ways I never would have imagined. Of course, I received tons of get-well cards, phone calls, and visits. But they were also taking turns driving my daughter to and from school, taking my car to the garage, doing my laundry, inviting me to come stay with them once I was released from the hospital, bringing me items that I hadn’t asked for but they knew I would need. It was so overwhelming! While I sat there that night, writing to my brother, it hit me that God wanted me to receive all this love, support, and kindness, so that I would know what to do later for someone else! Prior to this, I would have thought sending a card was all I could do for someone who is ill or injured. But Jesus didn’t send cards. He did for others whatever needed done. By the time I finished writing that letter, I was sobbing. What I didn’t know then was how many more lessons God was teaching me through this. But over the next few weeks, my eyes kept opening wider and wider to His plan. The next lesson I learned was probably the hardest, and one I still struggle with: humility. I was an independent person. At the time, I was a single mother with a career, and no one to turn to when it was time to pay the bills or make important decisions. And I liked it that way. I just didn’t realize how prideful that attitude is until I was forced to give it up. It’s hard to humble yourself in any situation, but I was in a situation where I simply didn’t have a choice. If I didn’t let these wonderful people do things for me, nothing was going to get done. My child wouldn’t get to school, my laundry wouldn’t get washed, and I wouldn’t have a ride to my doctor’s appointments. It was time to get over myself. Seeing my new family doing these things for me also humbled me in another way: it showed me how much I had to grow as a Christian. They weren’t even hesitating; they were just jumping in with both feet to get the work done. That’s pretty humbling to see how self-involved I had been; things had to fit into my schedule in order for me to do them. During these weeks, another lesson kept coming back to me. I had a strong faith in the Lord, but at no other time had I had to rely on that faith as often. I read the book of Job again and this time it meant so much more to me. I was able to relate to Job in a way I hadn’t before. It is so easy to stay faithful to God when His blessings are abundant and obvious, but what about when the rug gets pulled out from under us? I had been basking is His glory, receiving His blessings and praising Him. Now I was faced with that difficult question of WHY. Why was I suffering in pain, unable to walk, go to work, or go anywhere for that matter? I had to turn it over to Him, reminding myself that He is in control and that someday I may or may not be able to see His plan in all this, but that regardless, He had a plan, and I was just along for the ride. Nothing I could do could possibly improve my situation, and if I forced my will I’d be sure to make things worse anyway. This leads me to the next lesson I was learning: patience. I prayed several times a day, asking God to heal me and let me get back to my life and my responsibilities. And I was always careful to add “Your will be done”. I thought I was submitting myself to that until the day of my first follow-up with my surgeon. I woke up that day full of hope and high expectations that the doctor would be dumbfounded by my rapid improvement and decrease his estimate of how long I’d be out of work by at least a week or two. I started the day with an MRI to determine the amount of damage to my shoulder. X-rays the day of the accident didn’t show any breaks, so we assumed we were dealing with the rotator cuff injury alone. I wasn’t going to receive the results of that test until the next day, so I was off to the doctor. There was no dumbfounded look, no accelerated recovery. In fact, he moved it back another two weeks! I was crushed; I had prayed so much! Then the next day, the MRI results came in and I was told that not only was the rotator cuff torn, as we expected, but I had also broken my arm near the shoulder. They immediately immobilized the arm by strapping it to my side. I had just spent the previous week in rehab learning how to use crutches safely with a bad shoulder. Now I was stuck in a wheelchair full-time. I couldn’t stop crying; again I asked why. And it hit me: patience. Deep down, I was hoping and actually expecting that “His will” was really my will. And it obviously wasn’t. In His time, not mine. Another reminder that I cannot be in control of my life and live the life God wants for me, and why would I want to? His plan for me is so much better than anything I could come up with on my own! Which leads to the fifth lesson I learned from this accident: appreciation. When you think of all the blessings you have received from the Lord, what is on your list? Jesus, of course, and love, family, your job, food and so on. But do we ever remember to thank Him for the ability to walk? To cook a meal without assistance? So many things we take for granted that never make that list of blessings, not because we don’t think of them as blessings, but simply because we don’t think of them at all. It’s a blessing that I am able to drive myself to an appointment or to put my hair up with ease. I suddenly found myself reliant on others to drive me everywhere, and I had to leave my hair down all the time because I couldn’t lift my right arm. When you forget something in the other room, it’s a nuisance. But when you're in a wheelchair and forget something in the other room, it’s an ordeal! All these things are from the Lord, not us. And He didn’t take away my blessings. I feel completely blessed with so many other things I hadn’t thought about before, and I have a new blessing: that I am able to appreciate all the things I used to do and would someday do again. I sat in the physical therapy gym at the hospital and watched other patients doing their exercises. Many had had an arm or leg amputated. They will never have them again; mine were only broken and would heal. What an incredible blessing that is! The final lesson that comes to mind from my experience brings all of them together into one very important package: influence. I’ve always asked God to use me in the lives of others, to bring them to Christ, but then I wonder what I would say to someone who asked me questions. Would I freeze under pressure? Say something stupid that discourages them? If I felt they wanted to talk, but didn’t know how to ask, what would I say? Then I received an email from a friend in New Jersey. Valerie and I had never met, but were internet pen pals. We had met in a Christian chat room several months prior, while I was still searching for what I was missing. Valerie’s husband is a Lutheran minister, and as a preacher’s wife, she was able to answer many of my endless questions about the Bible, Jesus, and Christianity with patience and understanding. When I got out of the hospital, I emailed her to let her know what had happened and how everyone in the church was helping me so much. Valerie wrote back that she was truly inspired by my story. She explained that as a wife, mother, and employee, she got caught up in her responsibilities and didn’t realize how much she had slipped out of serving others until she read my email. Hearing how the church was coming to my aid, she resolved to get back into serving her congregation, really serving them. She mentioned a woman whose mother had just died. Valerie said she had hugged the woman and gave her condolences, but she now saw how much more she could have done. She said she was going to see her the next day and do something, anything, for her. Who would have guessed that a two-month-old Christian could have influenced a life-long believer and minister’s wife? And all I had to do was share my story. God is good! So many people in my life asked me about my faith after my accident, and the biggest reason is that they could see that I was constantly surrounded by my brothers and sisters who were showing unending love. If seeing that could be a positive influence on any of my coworkers, family members, or friends, then falling down those stairs was the best thing that ever happened! How easy it is to feel sorry for ourselves and question why God let something happen. But we must have faith in Him, patience to wait for His answers, appreciation for everything He has given us, and open ourselves to let Him do His work. By serving others, we are serving the Lord, and He rewards us greatly, if we just open our eyes to see it. 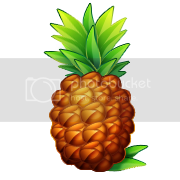 Click the Pineapple to Subscribe! What is This Blog About Anyway? Just a simple country girl with lots of opinions... some of which I even keep to myself! Does IT really stand for Irritability Target, or is it just me? 2011 is Off and Running! I'm Just Trying to Keep Up! One Woman Won By Him | A (near) daily devotional, prayer, and personal testimony blog written by a prodigal daughter returned. This website is protected by US and International copyright laws and my ninja cat, Wally. Powered by Blogger.